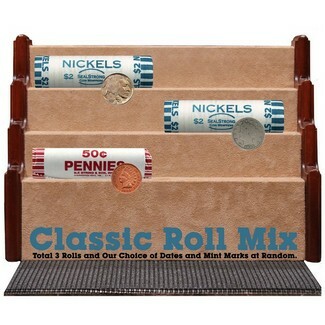 Includes 1 40 coin Roll of Buffalo Nickels, 1 40 coin Roll of V Nickels, and 1 50 coin Roll of Indian Cents. Total 3 Rolls and Our Choice of Dates and Mint Marks at Random. All coins are good or better condition.